Recent visits to Moscow by the Iranian and Saudi foreign ministers, alongside talks with representatives of the Syrian opposition, have raised speculation that Russia could be acting as a mediator between Iran and Saudi Arabia as the lifting of sanctions on Tehran leave the situation in the Middle East in a state of flux. 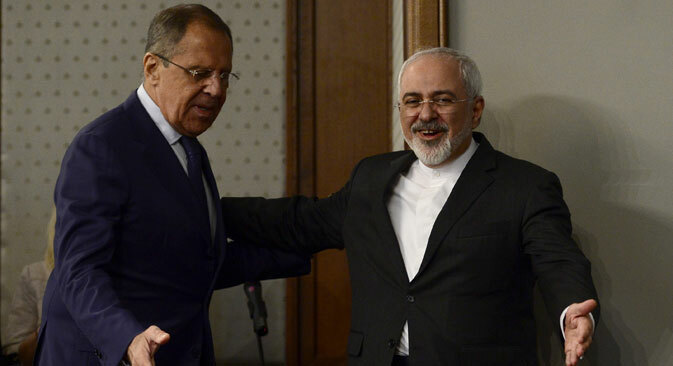 Russian Foreign Minister Sergei Lavrov and his Iranian counterpart Javad Zarif recently met in Moscow to discuss the development of relations between the two countries in the new international environment, following the signing of an agreement between Iran and the P5+1 major world powers. On the eve of this visit to the Russian capital, the Foreign Minister of Saudi Arabia, and representatives of the Syrian opposition also came to Moscow for meetings. However, opinion is divided on whether Moscow is acting as an unofficial mediator between Iran and Saudi Arabia. The meeting between Lavrov and Zarif was held on Aug. 17 in fundamentally new international circumstances, when the signing of an agreement between Iran and the P5+1 major world powers (the U.S., Russia, China, Britain, France, plus Germany) has led to the creation of conditions for the lifting of longstanding Western sanctions against Tehran. One of the main topics of the talks concerned the implementation of the Plan of Action on Iran’s Nuclear Program. As it was stressed at the press conference, Russia will be playing a key role in the implementation of the plan. In particular, Russia will remove Iran’s stockpiles of low-enriched uranium in exchange for natural uranium, as well as assist in developing the production of stable isotopes at the Iranian nuclear facility in Fordow. The Russian Federation will also build another eight nuclear reactors in the Islamic Republic. “This is a very promising and significant direction, which will increase the supply of energy in Iran, while at the same time ensuring full compliance with non-proliferation, and also respecting Iran’s right to have a peaceful nuclear program,” said Sergei Lavrov. One of the main topics of the meeting was the situation in the Middle East. Asked about Russia’s position as to the future of Syrian President Bashar al-Assad, Lavrov said that his country’s position remains the same as it was at beginning of the crisis, and that the fate of the Syrian president must be addressed only after the crisis is resolved.